Closeup of sad bad boy wearing jail suit and kept behind bars. 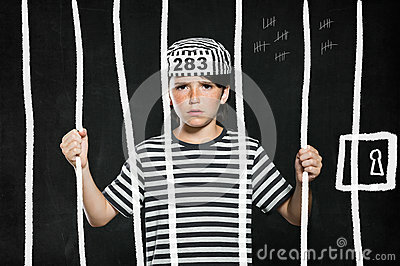 Portrait of little prank in jail. Sad male kid wearing striped clothes.